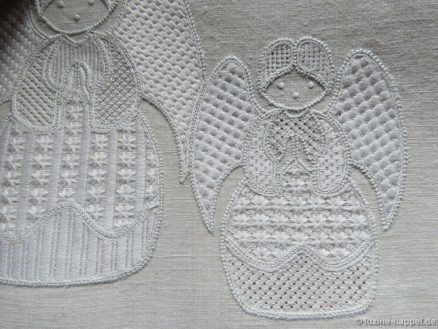 Today babushka angels welcome you. 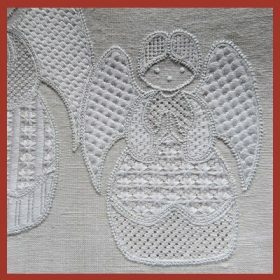 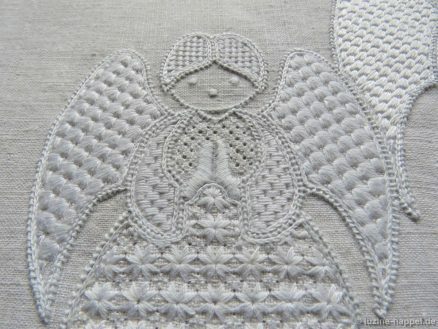 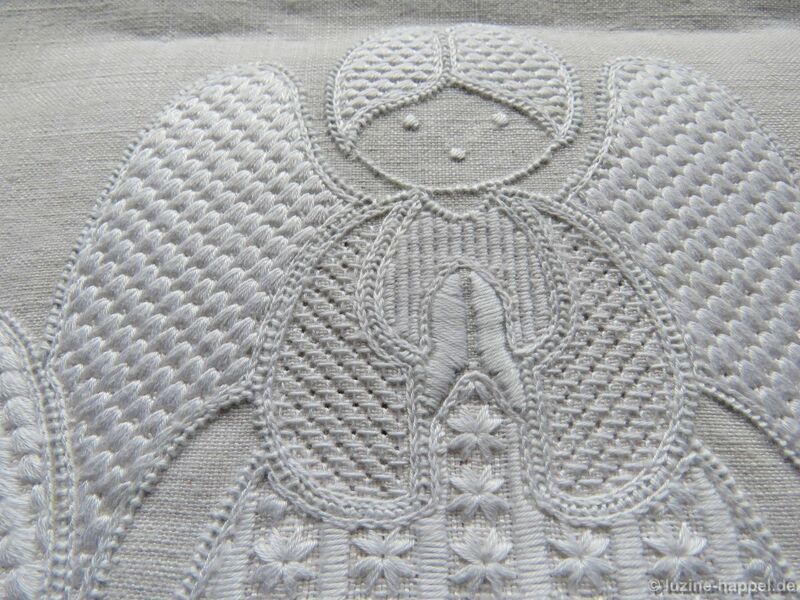 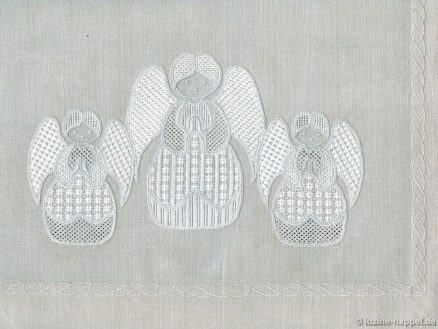 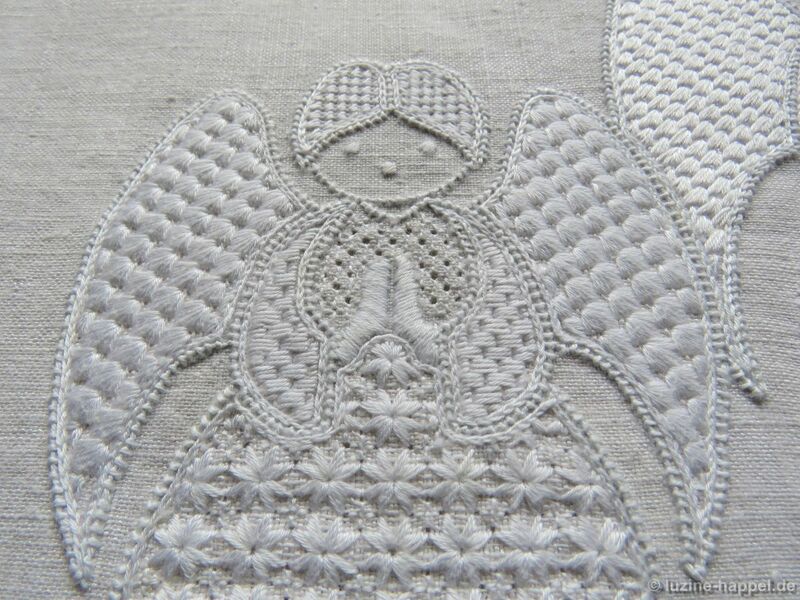 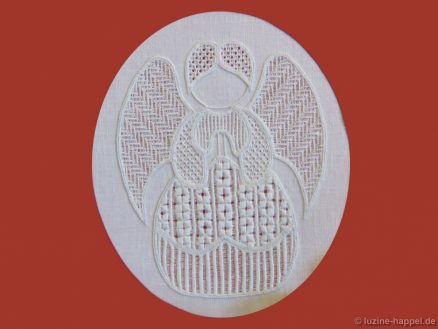 Visitors of my exhibitions already know these angels from my table runner. 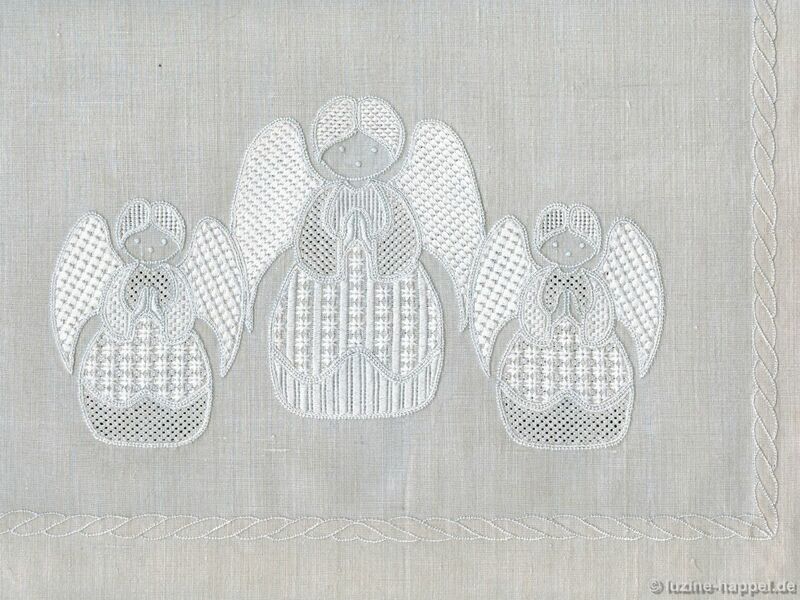 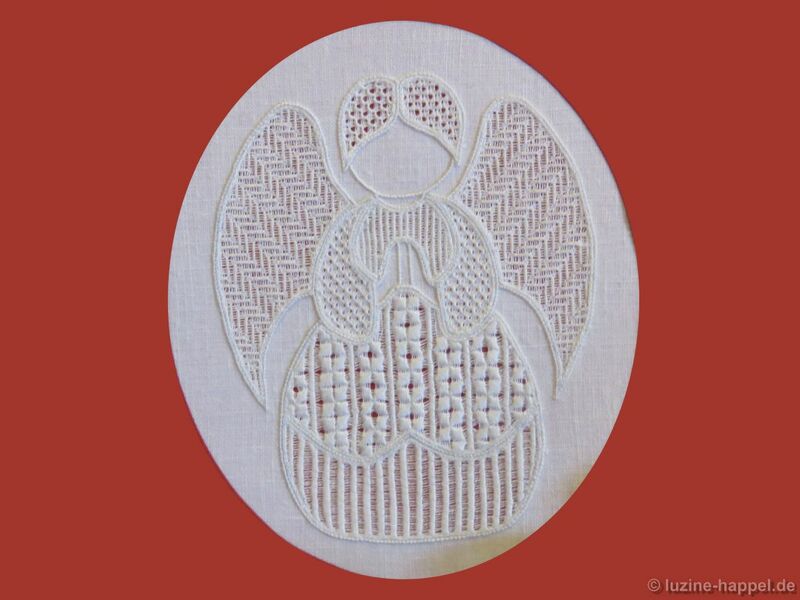 Three angels (the same motif in two different sizes) were arranged in a group. 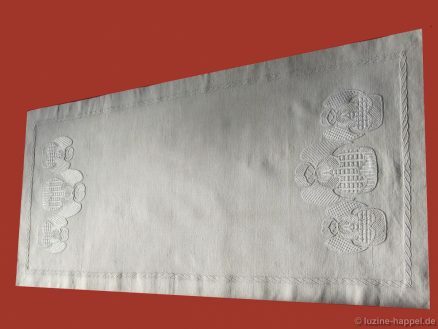 The design measures about 32 cm X 18.5 cm. 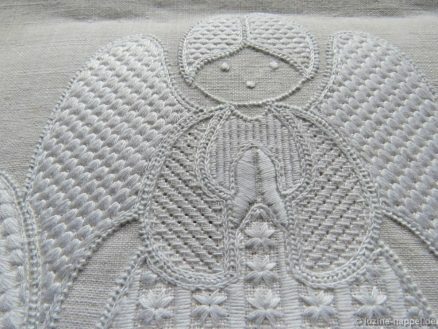 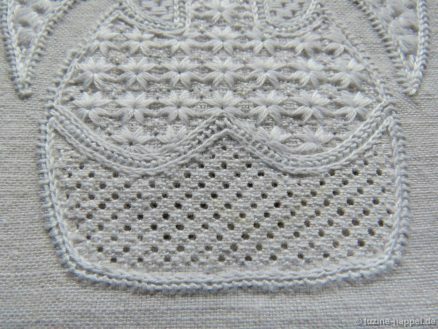 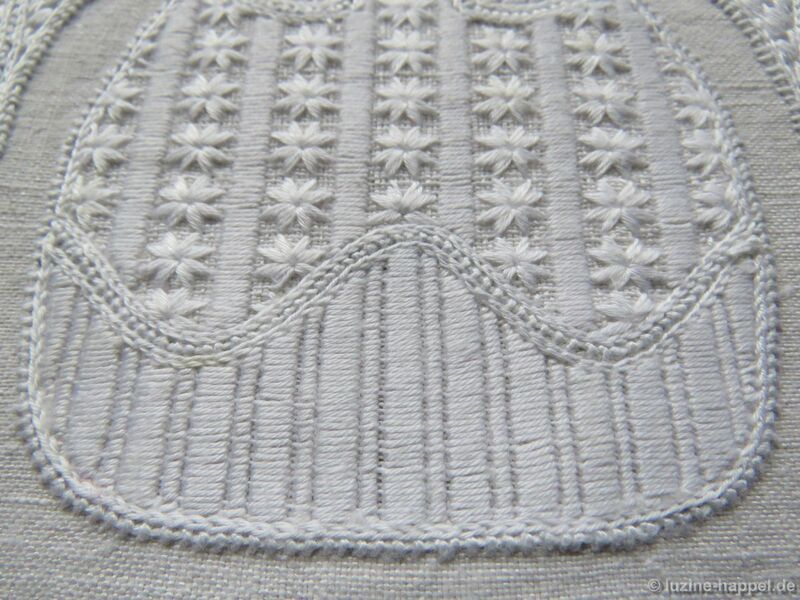 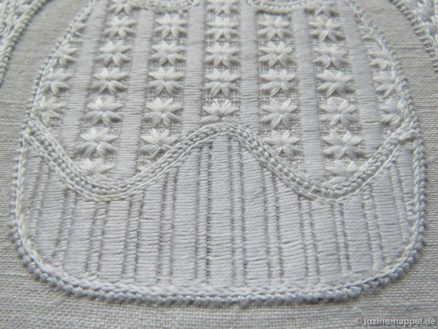 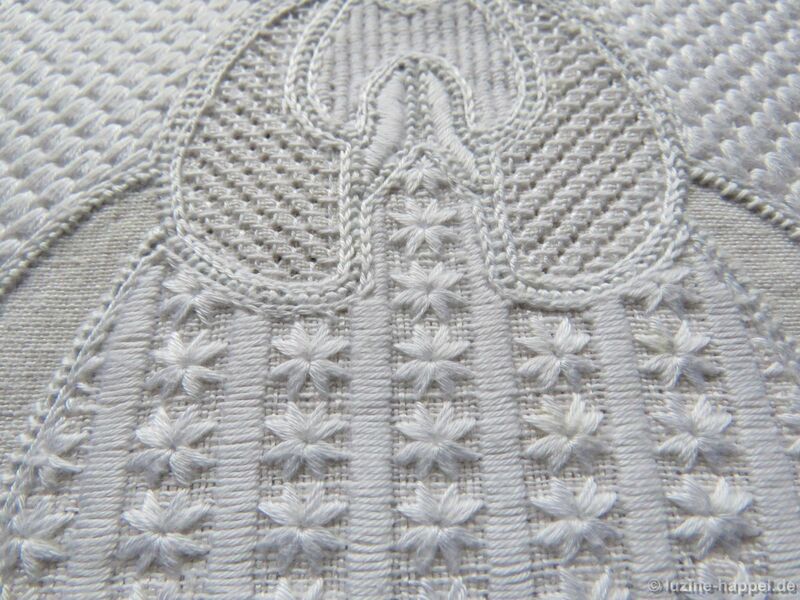 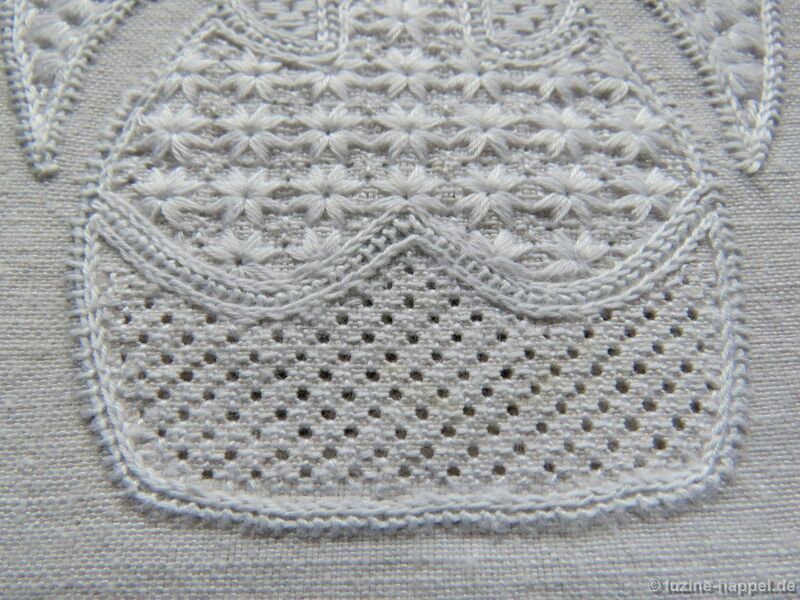 It was stitched on handwoven linen with a 22/cm thread count. 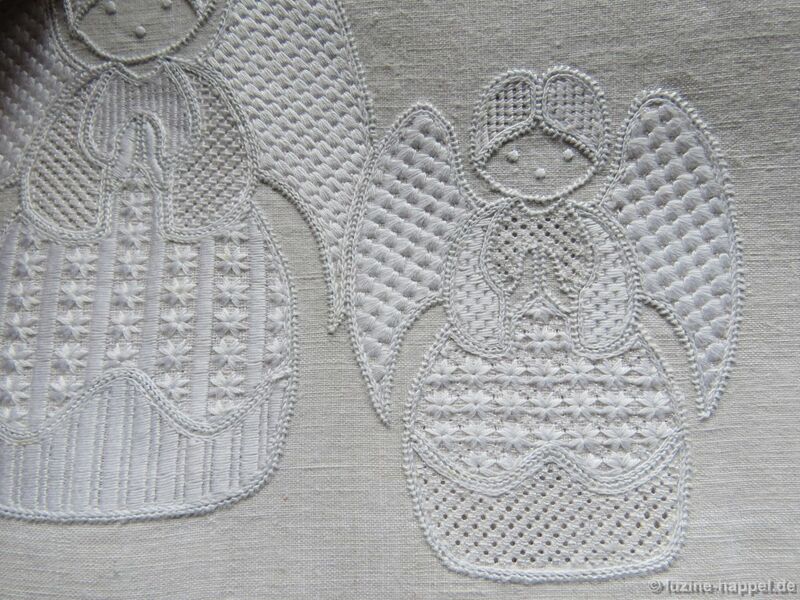 The contrast of dense and more open patterns makes the figures interesting. This pretty design is available pre-transferred on 16 threads/cm linen cut to measure 55 cm X 120 cm. 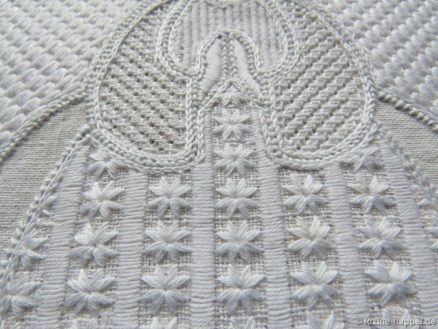 The price is €28.50 (includes 19 % sales tax) plus shipping, or €23.95 plus shipping for customers outside the EU.